I hope everyone is having a good holiday weekend and happy Easter to those that observe. I returned from my one week vacation to a barrage of issues at work. It was a stressful week so I was glad when my friend invited me to my first yoga class. It wasn’t an advanced session but I certainly struggled to keep up (especially with this challenge pose). I want to say that I was the only yoga newbie and now I feel a little achy all over- in a good way of course. 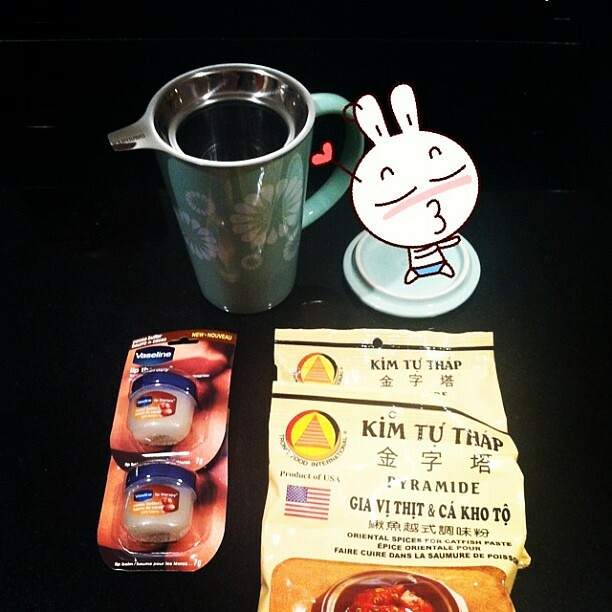 I’m going to sleep like a baby tonight! 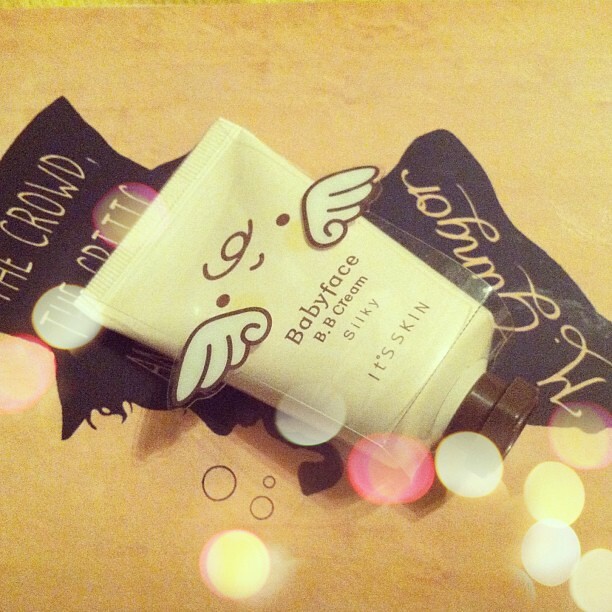 I love all things cute and my sister’s BB cream was no exception. 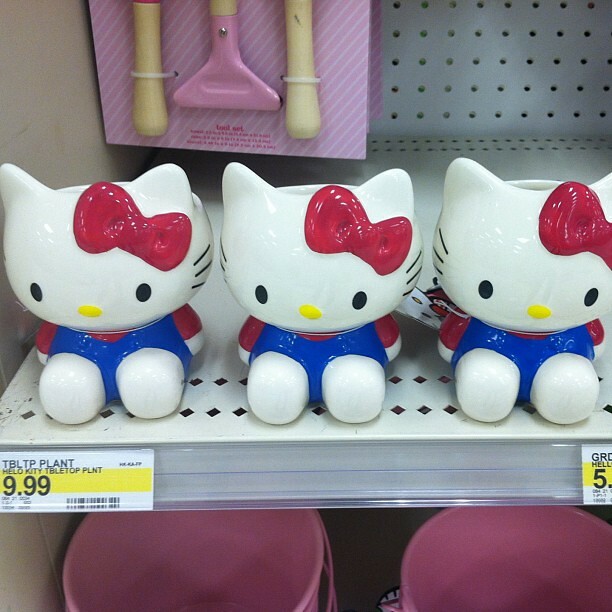 Hello Kitty gardening section at a Target while in PA. I caved and purchased one when I came back. 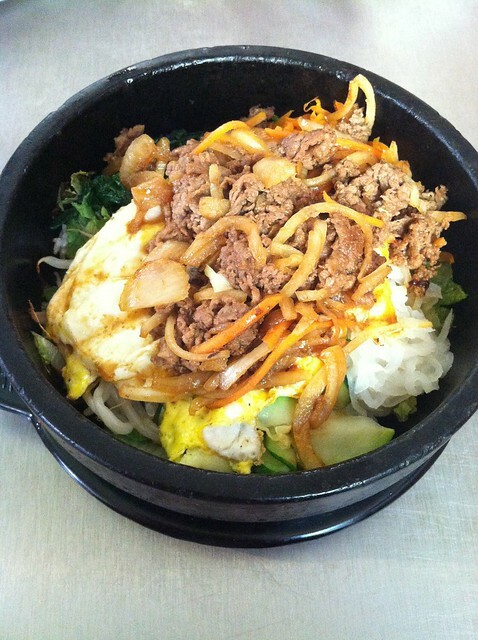 Okdol bibimbap. A generous helping of bulgogi never hurt anyone. 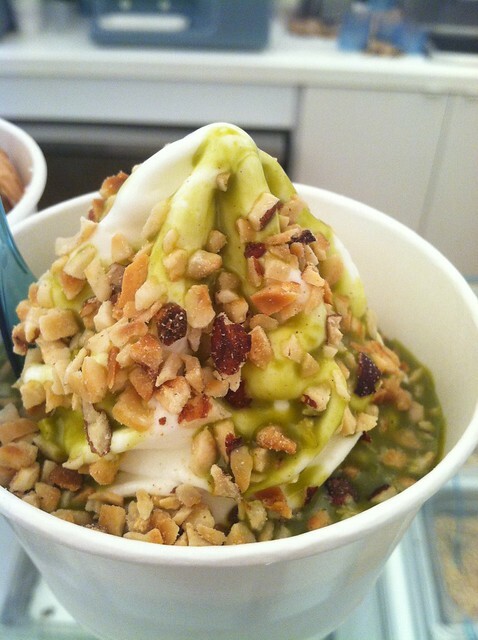 Verdict: It’s pretty awesome if you prefer froyo that isn’t tart. My pleasure Annie. It's so pretty on so let's judge when we get it to try on. My striped dress should be here by Wednesday I believe. I'm dying for you to get yours first and it better fit. 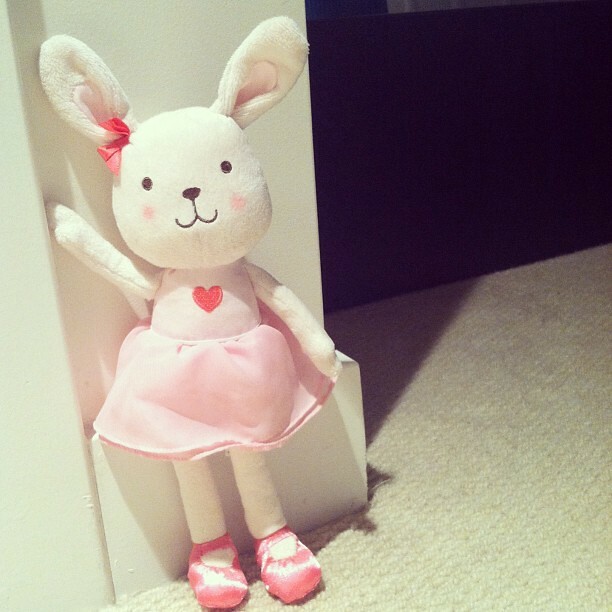 lol I really have to many plushies but I couldn't saw no to the bunny's sweet face. What's not to love? Thanks Fatima… crossing my fingers! I could tell you switched out the tank because the one it comes with is thin and unflattering. I saw a medium in store and it was all tangled up. how is the bb cream? i've been looking for one! It was so yummy I can't wait to go back in May and have some more. 🙂 I checked their website and they do appear to be a chain store but it's not as prevalent as the bigger ones such as Pinkberry, Yogurtland, Red Mango, etc. Sorry to disappoint but it's my sister's. She doesn't even wear makeup so it's just going to be a cute decorative item in her room. 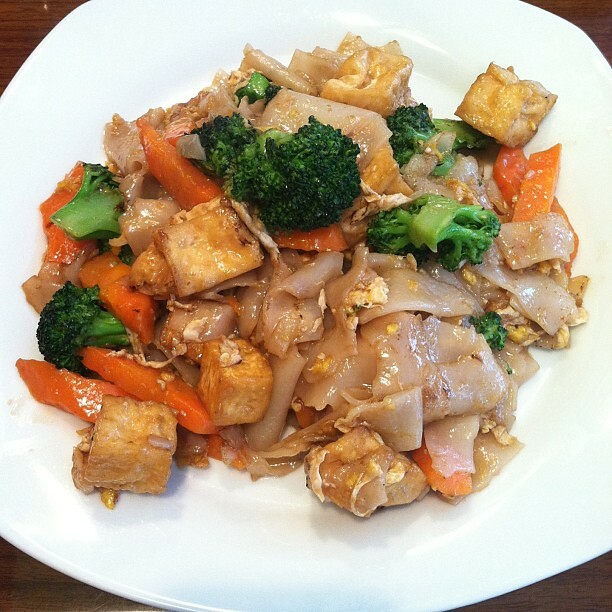 The pad see ew is from O-sha in Watertown and it's usually pretty good and consistent. I like ordering there for lunch and occasionally will sit down but that's pretty rare. I don't know of any really yummy Thai restaurants either. My company took me to one a few years ago that had the most amazing pad thai. I even tried searching my inbox but the name of the restaurant has disappeared otherwise I'd share. 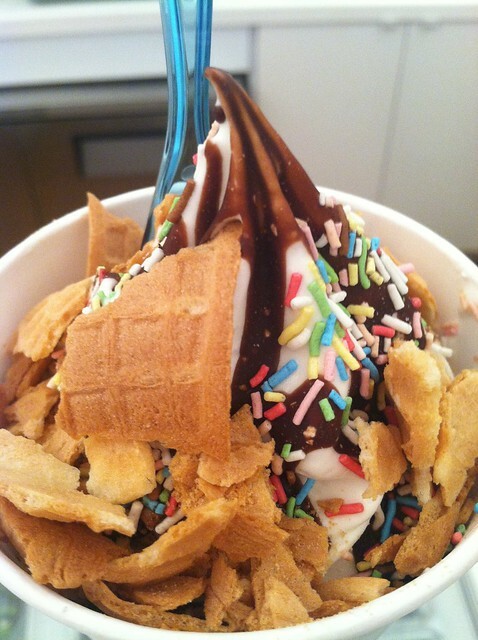 In college I used to love going to Brown Sugar in the BU area. Amarin of Thailand is also pretty good but I haven't been there in a long time so I can't vouch for them recently.